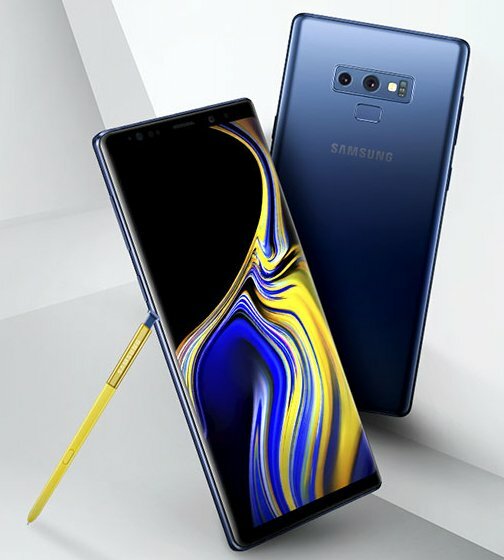 A seemingly official press image of the Galaxy Note 9 has been leaked online today. It’s the first proper image of its kind which shows off the upcoming Samsung flagship in all its glory. It also highlights the new S Pen that’s going to ship with the handset. We previously got a glimpse of the new S Pen when some promotional material for the Galaxy Note 9 was leaked last week. It has been reported multiple times that the Galaxy Note 9 will look somewhat similar to its predecessor. This leaked press image reiterates that. Some might find it difficult to tell the two devices apart from the front. The image has been leaked online by @evleaks who has a solid track record with such leaks. Some noticeable design changes are present at the back. There’s a new housing for the rear dual camera setup which has retained its horizontal placement. The fingerprint sensor is now placed below the camera sensors and not alongside them. We also pointed this out when Samsung CEO DJ Koh was spotted using the Galaxy Note 9 in public yesterday. This image also points out that Samsung has gone for a blue and gold color combination and it doesn’t look all that bad to be honest. The S Pen is all gold with the exception of the top which has a hint of blue. The device itself is entirely in blue. The S Pen is reportedly going to be one of the unique selling points of this handset as it’s going to feature Bluetooth support. This will enable the stylus to offer features that one wouldn’t normally expect from the S Pen. We’re less than a month away from the official launch of Samsung’s new flagship. The company will unveil the Galaxy Note 9 on August 9. It’s expected to start taking pre-orders from mid-August with a release pegged at August 24. Samsung will confirm the pricing and release information officially at its event on August 9. Note8 design on the back looks much better.for me, not taking the fingerprint sensor location in considerantion, but just how it looks. The main wait was for screen finger sensor and back look but disappoint. No feature of camara set up may not be ad s9 that will be tragedy. Let us see can settle the draw back in price or not, if not then Note 8is much better. So tempted by this Note! The back side makes my eyes hurt. I hope the leak is wrong.. The camera module not being black makes the phone look messy. It’s upsetting how the Note has become progressively uglier since the Note5.